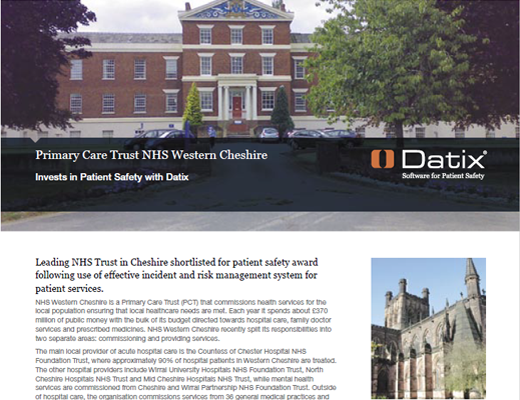 Leading NHS Trust in Cheshire shortlisted for patient safety award following use of effective incident and risk management system for patient services. 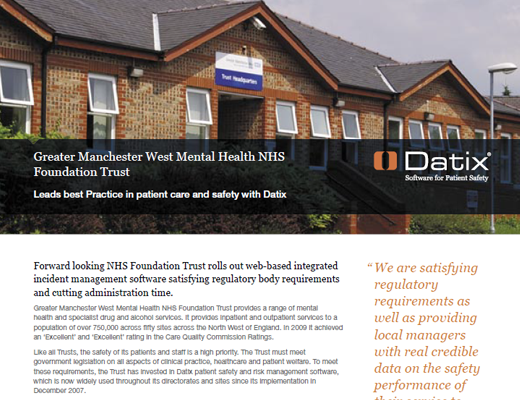 NHS Western Cheshire is a Primary Care Trust (PCT) that commissions health services for the local population ensuring that local healthcare needs are met. 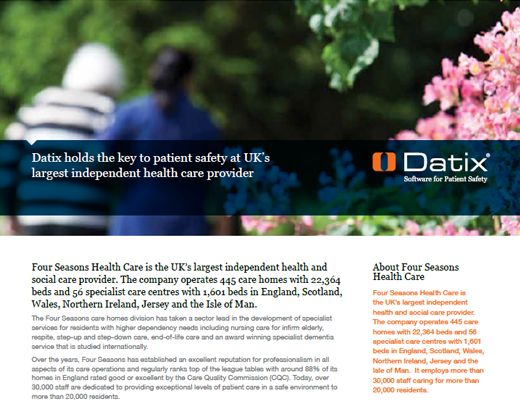 Each year it spends about £370 million of public money with the bulk of its budget directed towards hospital care, family doctor services and prescribed medicines. 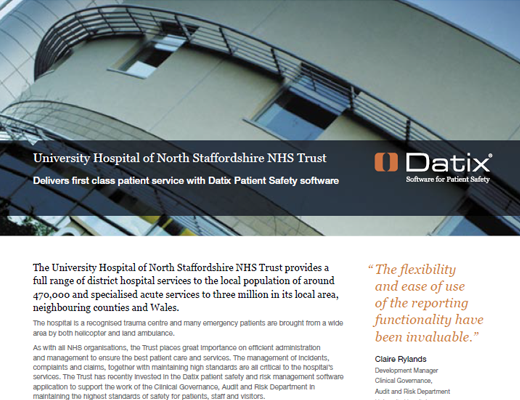 PULSE is a leading health and social care staffi ng and services business providing a broad range of specialist health and social care professionals to some of the largest NHS trusts, private hospitals, social service departments and local authorities nationwide. 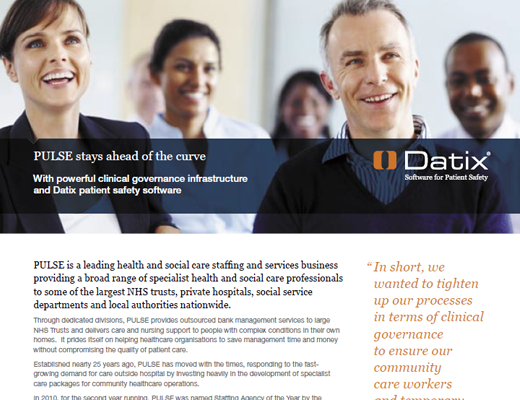 Through dedicated divisions, PULSE provides outsourced bank management services to large NHS Trusts and delivers care and nursing support to people with complex conditions in their own homes. 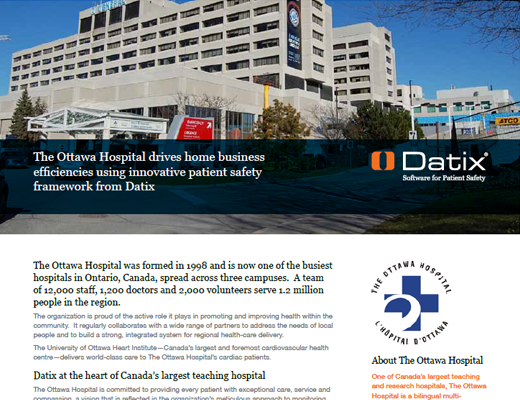 The Ottawa Hospital was formed in 1998 and is now one of the busiest hospitals in Ontario, Canada, spread across three campuses. 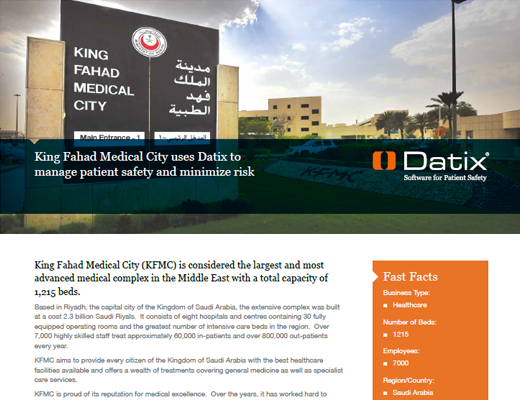 A team of 12,000 staff, 1,200 doctors and 2,000 volunteers serve 1.2 million people in the region. The organization is proud of the active role it plays in promoting and improving health within the community. 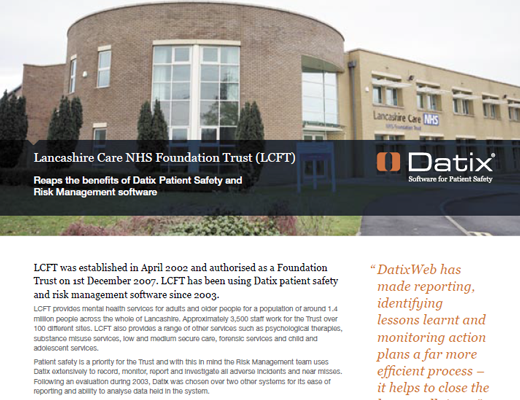 It regularly collaborates with a wide range of partners to address the needs of local people and to build a strongpital’s cardiac patients. 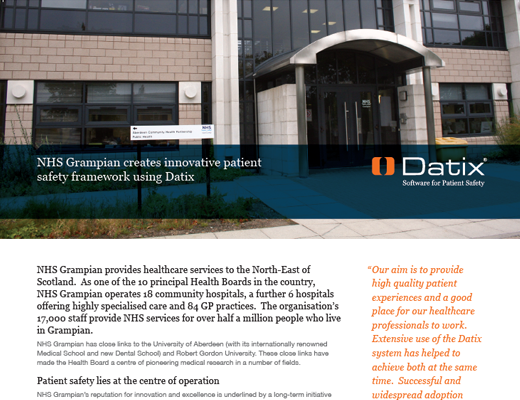 NHS Grampian provides healthcare services to the North-East of Scotland. As one of the 10 principal Health Boards in the country, NHS Grampian operates 18 community hospitals, a further 6 hospitals offering highly specialised care and 84 GP practices. 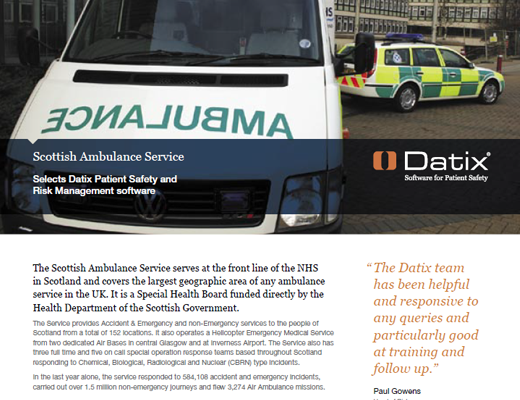 The organisation’s 17,000 staff provide NHS services for over half a million people who live in Grampian. 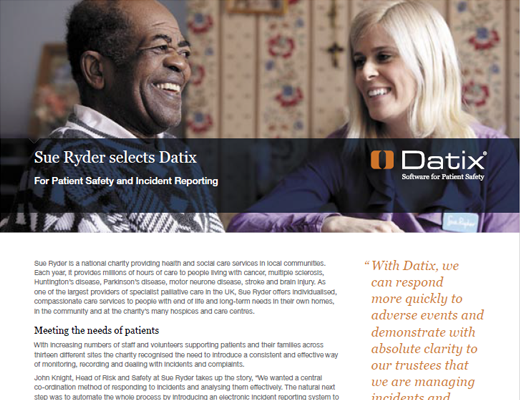 The promotion of safety and risk awareness was a high priority for Gateshead Health NHS Foundation Trust when it made the decision to purchase Datix. 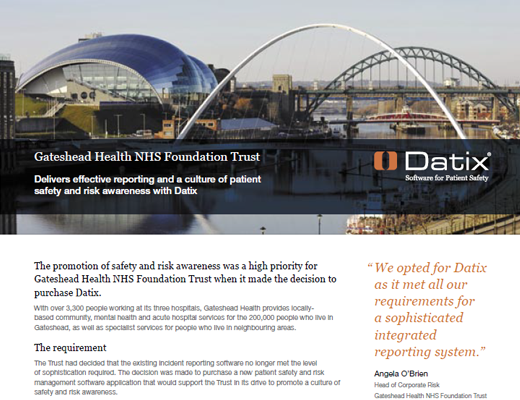 With over 3,300 people working at its three hospitals, Gateshead Health provides locallybased community, mental health and acute hospital services for the 200,000 people who live in Gateshead, as well as specialist services for people who live in neighbouring areas. 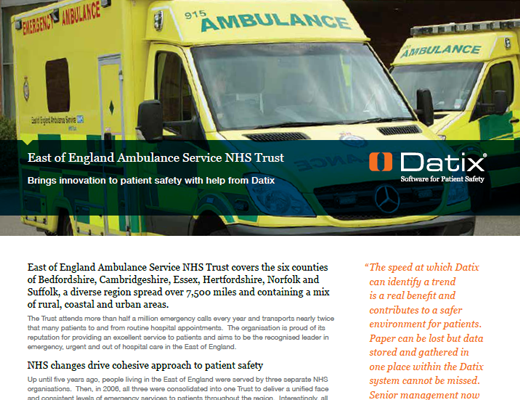 East of England Ambulance Service NHS Trust covers the six counties of Bedfordshire, Cambridgeshire, Essex, Hertfordshire, Norfolk and Suffolk, a diverse region spread over 7,500 miles and containing a mix of rural, coastal and urban areas. 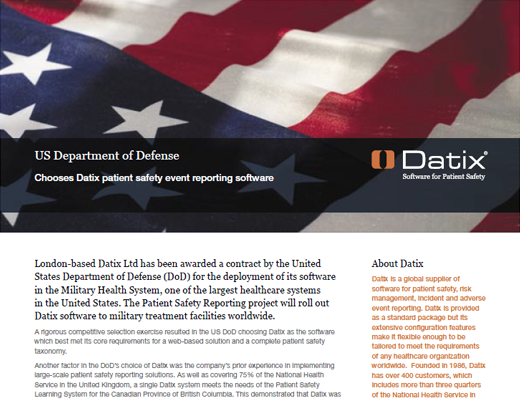 London-based Datix Ltd has been awarded a contract by the United States Department of Defense (DoD) for the deployment of its software in the Military Health System, one of the largest healthcare systems in the United States. 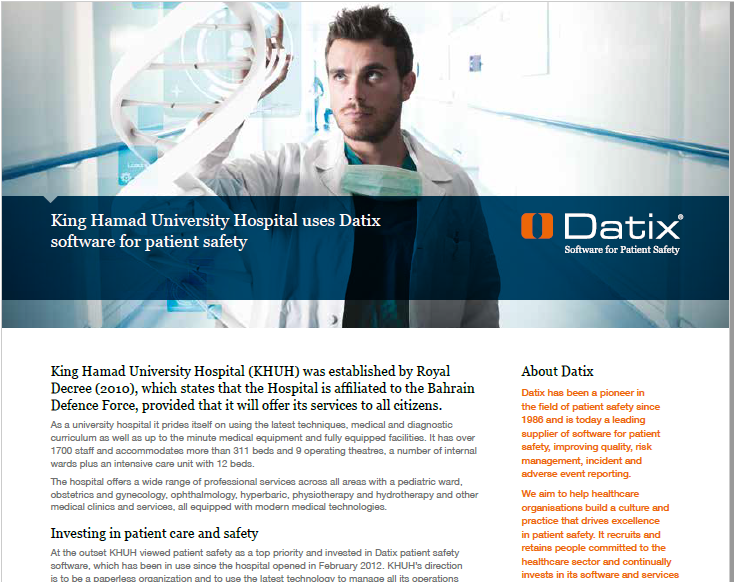 The Patient Safety Reporting project will roll out Datix software to military treatment facilities worldwide. Circle Health is Europe’s largest partnership of healthcare professionals, committed to shaping the future of healthcare in the UK. 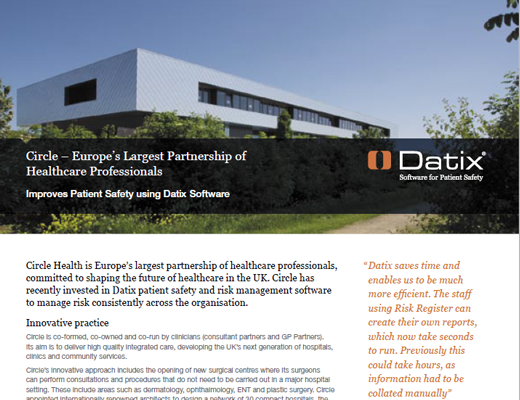 Circle has recently invested in Datix patient safety and risk management software to manage risk consistently across the organisation. 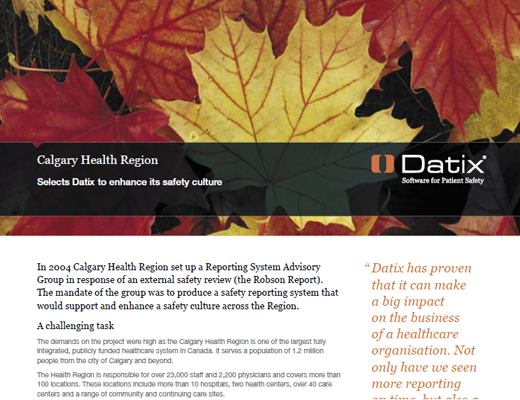 In 2004 Calgary Health Region set up a Reporting System Advisory Group in response of an external safety review (the Robson Report). 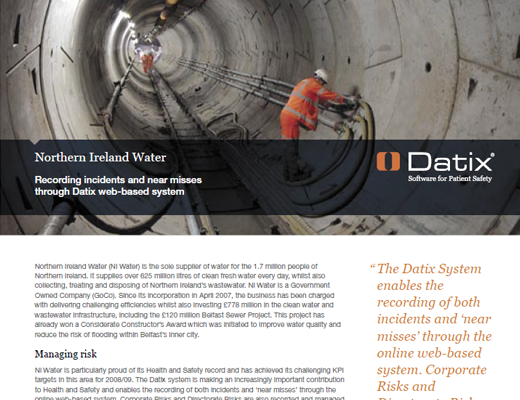 The mandate of the group was to produce a safety reporting system that would support and enhance a safety culture across the Region. The Challenge As a 680-bed hospital with more than 80 care specialties, Presbyterian/St. 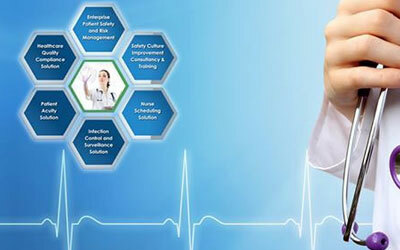 Luke’s Medical Center (PSLMC) has a substantial volume of policies and procedures to manage and update. 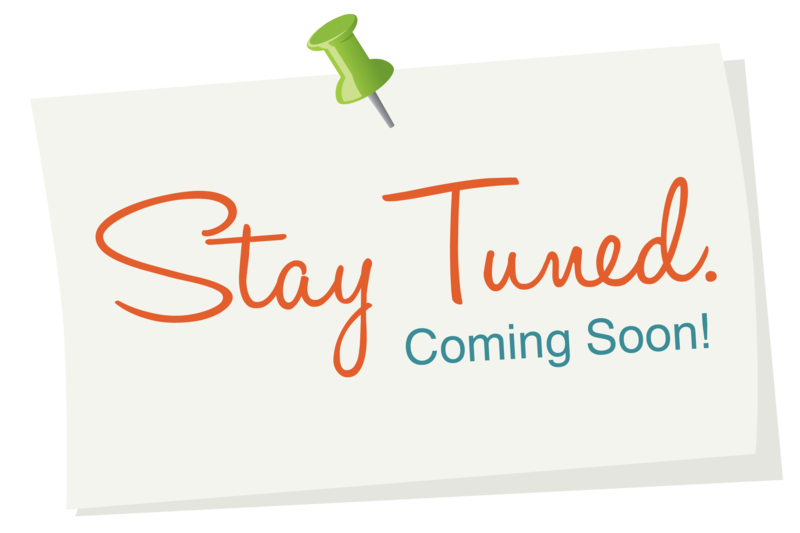 A few years ago, PSLMC began the process of migrating paper policies to electronic format and placing them on a facility-wide intranet. 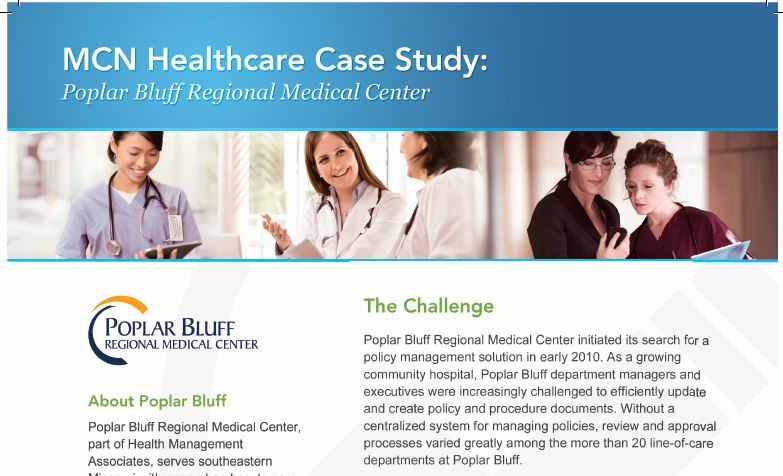 Poplar Bluff Regional Medical Center, Part of Health Management Associates, serves southeastern Missouri with general and acute care services. The hospital's offerings range from cardiology and pediatrics to home care and maternity services.It also has centers devoted to such areas as cancer care, pain management, and rehabilitation. The two-Campus hospital has about 425 beds. As a multi-facility, long-term care organization, Linden- Grove’s operations are highly regulated at both the state and federal levels. 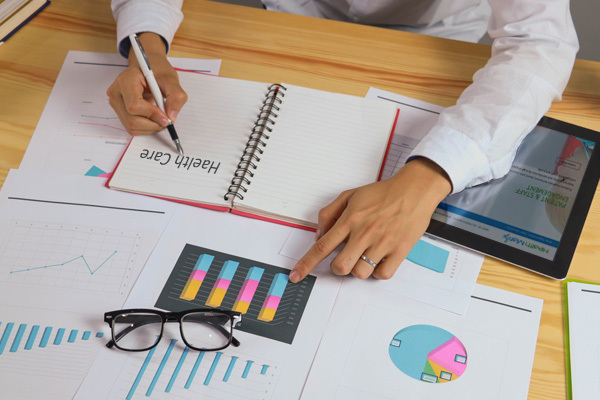 A couple years ago, LindenGrove leadership recognized that its existing policy management system was failing to keep pace with the needs of its stay in an increasingly complex regulatory environment. 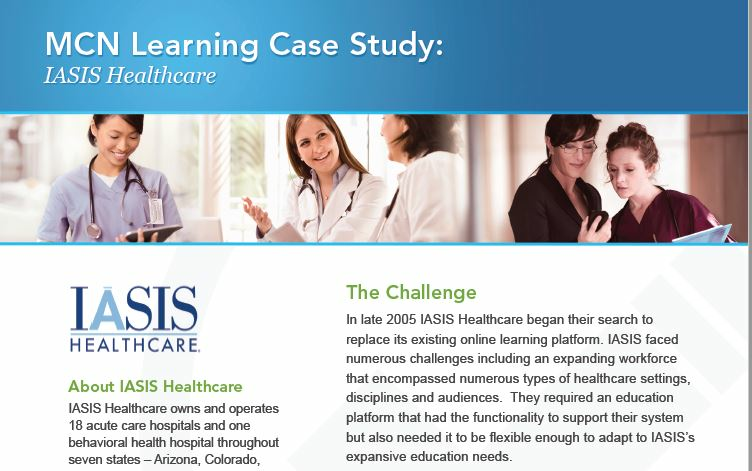 About IASIS Healthcare IASIS Healthcare owns and operates 18 acute care hospitals and one behavioral health hospital throughout seven states – Arizona, Colorado, Florida, Louisiana, Nevada, Texas and Utah. 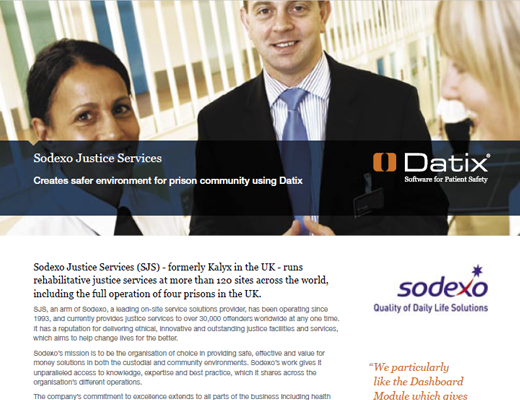 In total, they have more than 4,300 licensed beds, and employ nearly 14,000 dedicated professionals. 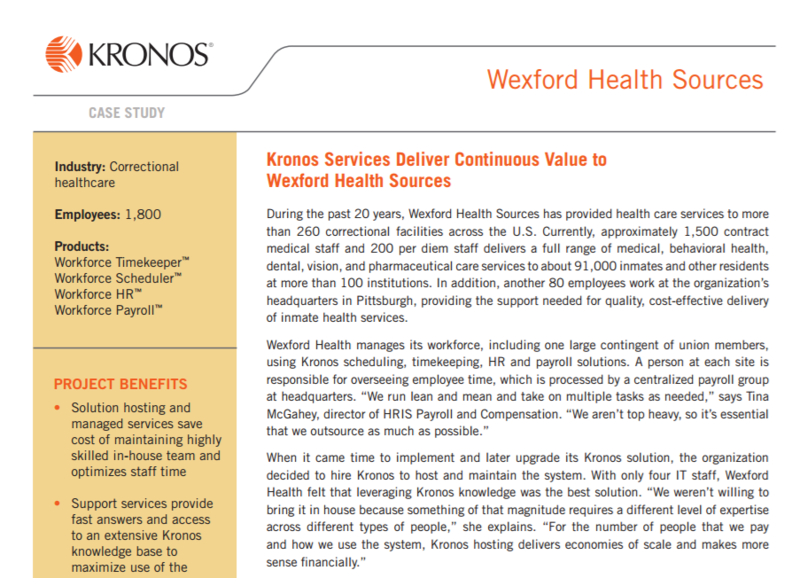 During the past 20 years, Wexford Health Sources has provided health care services to more than 260 correctional facilities across the U.S. Currently, approximately 1,500 contract medical staff and 200 per diem staff delivers a full range of medical, behavioral health, dental, vision, and pharmaceutical care services to about 91,000 inmates and other residents at more than 100 institutions. 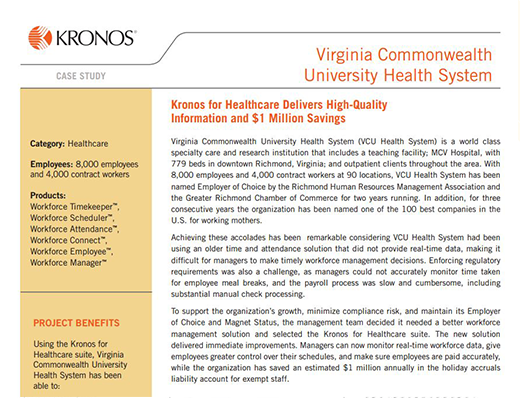 Virginia Commonwealth University Health System (VCU Health System) is a world class specialty care and research institution that includes a teaching facility; MCV Hospital, with 779 beds in downtown Richmond, Virginia; and outpatient clients throughout the area. 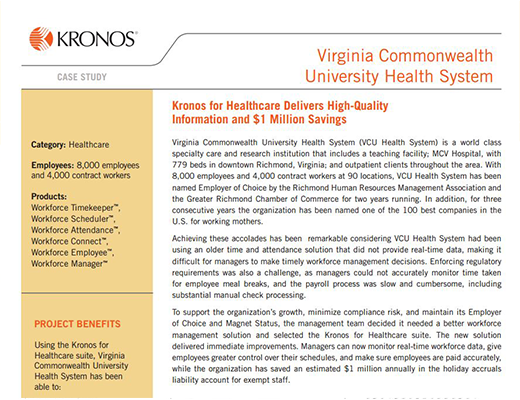 With 8,000 employees and 4,000 contract workers at 90 locations, VCU Health System has been named Employer of Choice by the Richmond Human Resources Management Association and the Greater Richmond Chamber of Commerce for two years . As the Intermountain West’s only academic healthcare system, University of Utah Health Care combines excellence in patient care with the latest in medical research and teaching. 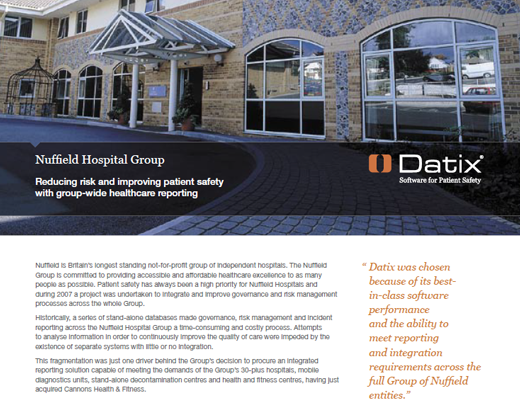 A provider of leading-edge medicine in a range of specialties, it is consistently ranked among the country’s best hospitals by US News & World Report. 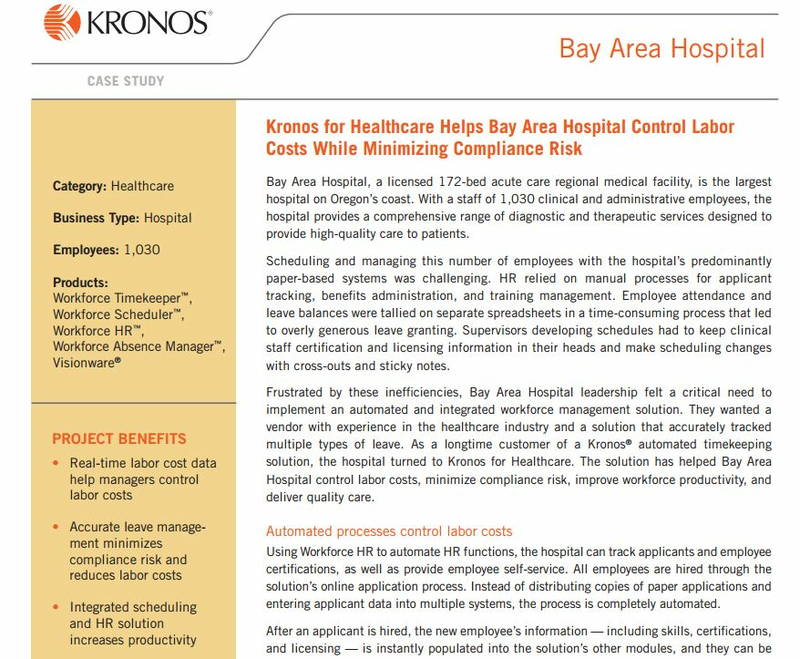 The organization’s 6,000 employees are spread across three hospitals, a number of specialty centers, and 10 community clinics. University Health Care is an integrated healthcare provider, anchored by its 551-bed University Hospital campus in Augusta, GA. Founded in 1818, the hospital is now one of the largest healthcare providers in Georgia. It employs 3,400 people, serves 25 counties in Georgia and South Carolina, and is known for its cardiovascular, oncology, and women’s services. 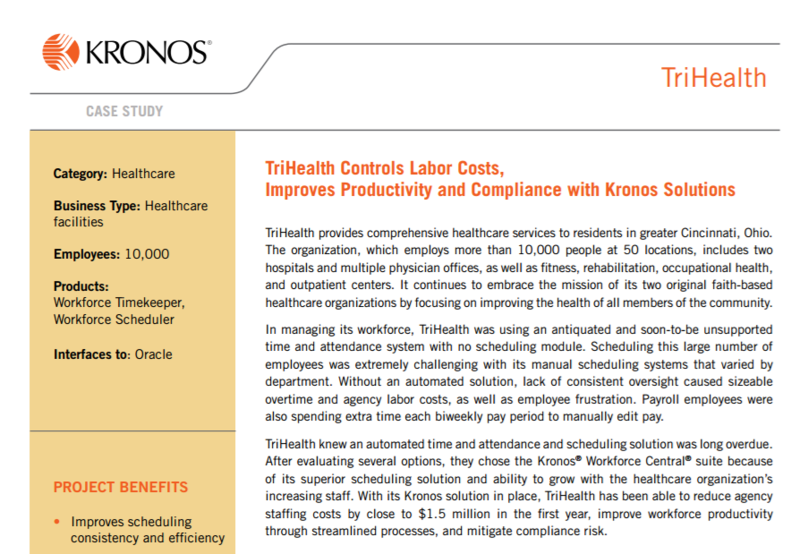 TriHealth Controls Labor Costs, Improves Productivity and Compliance with Kronos Solutions TriHealth provides comprehensive healthcare services to residents in greater Cincinnati, Ohio. 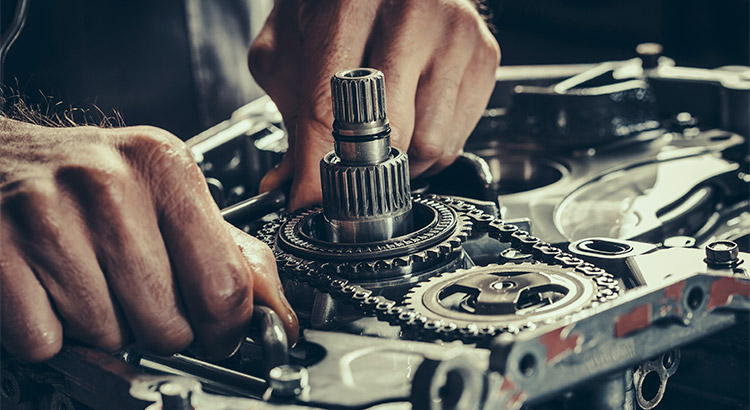 The organization, which employs more than 10,000 people at 50 locations, includes two hospitals and multiple physician offices, as well as fitness, rehabilitation, occupational health, and outpatient centers. It continues to embrace the mission of its two original faith-based . 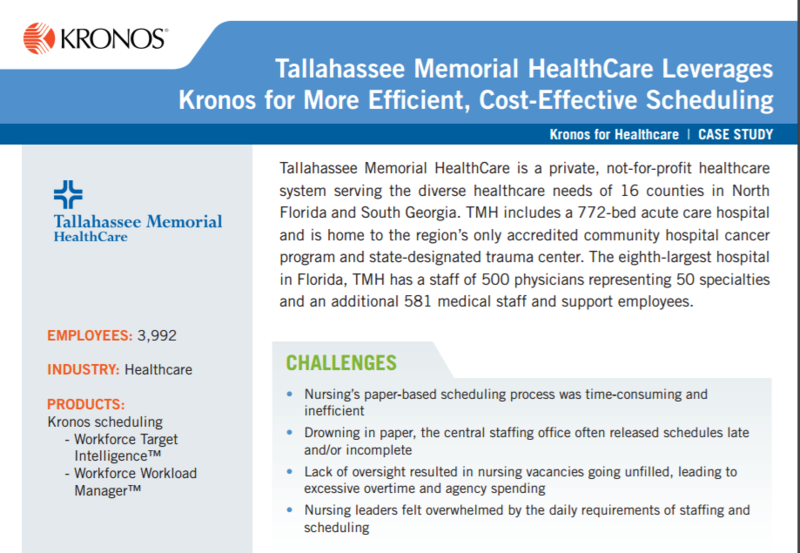 Tallahassee Memorial HealthCare is a private, not-for-profit healthcare system serving the diverse healthcare needs of 16 counties in North Florida and South Georgia. TMH includes a 772-bed acute care hospital and is home to the region’s only accredited community hospital cancer program and state-designated trauma center. The eighth-largest hospital in Florida, TMH has a staff of 500 physicians representing 50 specialties and an additional 581 medical staff and support employees . 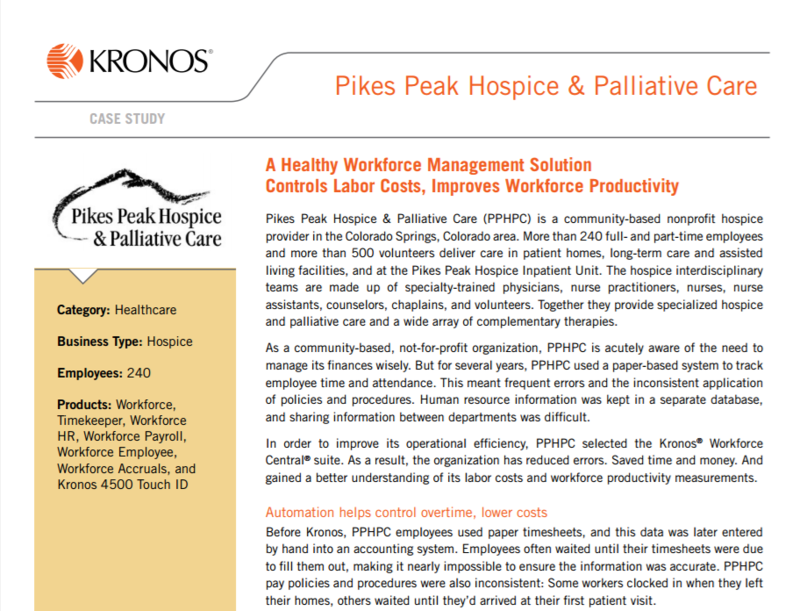 Pikes Peak Hospice & Palliative Care (PPHPC) is a community-based nonprofit hospice provider in the Colorado Springs, Colorado area. More than 240 full- and part-time employees and more than 500 volunteers deliver care in patient homes, long-term care and assisted living facilities, and at the Pikes Peak Hospice Inpatient Unit. The hospice interdisciplinary teams are made up of specialty-trained physicians, nurse practitioners, nurses, nurse assistants, counselors, chaplains, and volunteers. Mercy Health Partners is a full-service healthcare provider with 10 hospitals and a number of outpatient facilities in east Tennessee. 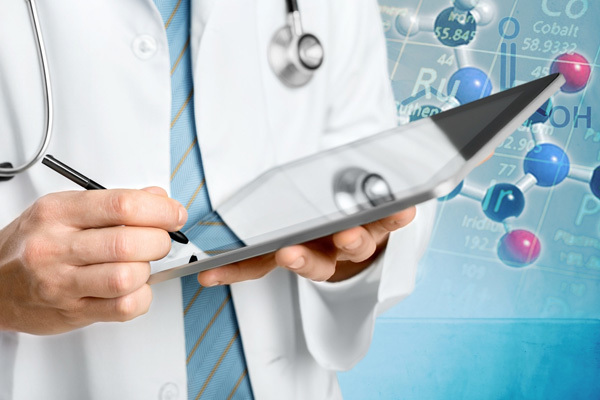 The organization employs more than 1,500 physicians and 6,000 associates. 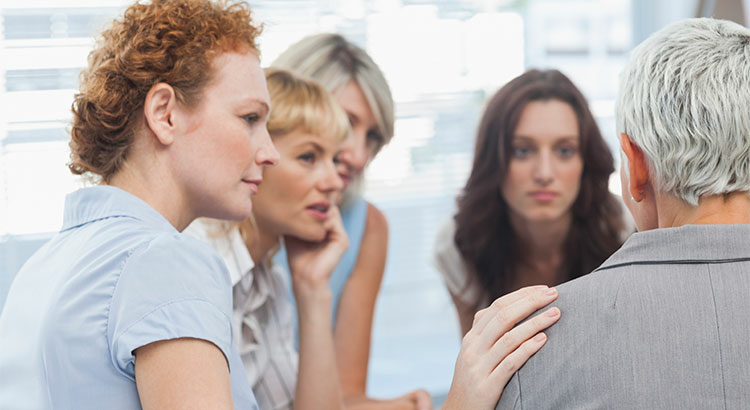 Mercy Health Partners offers services for seniors, in addition to cancer, orthopedics, cardiac, neuroscience, women’s services, and other treatment options. The health system’s mission puts a special emphasis on treating those who are poor or underserved. 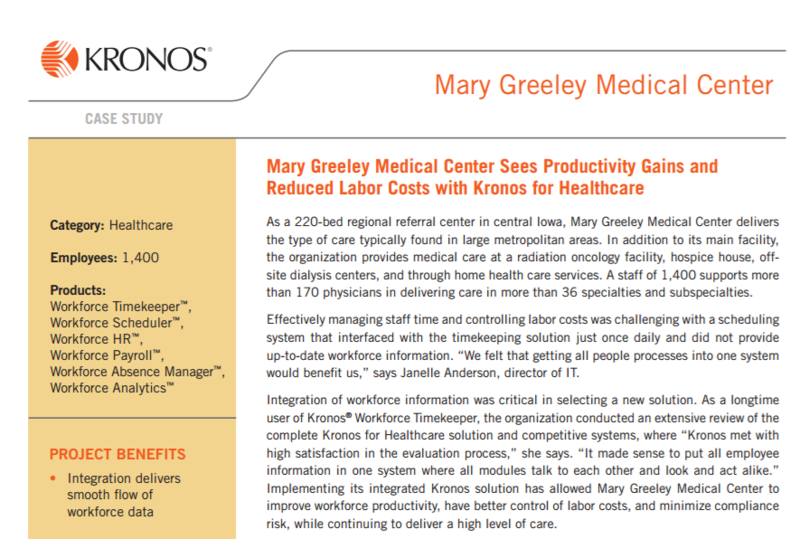 As a 220-bed regional referral center in central Iowa, Mary Greeley Medical Center delivers the type of care typically found in large metropolitan areas. 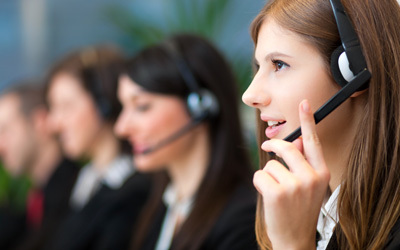 In addition to its main facility, the organization provides medical care at a radiation oncology facility, hospice house, offsite dialysis centers, and through home health care services. 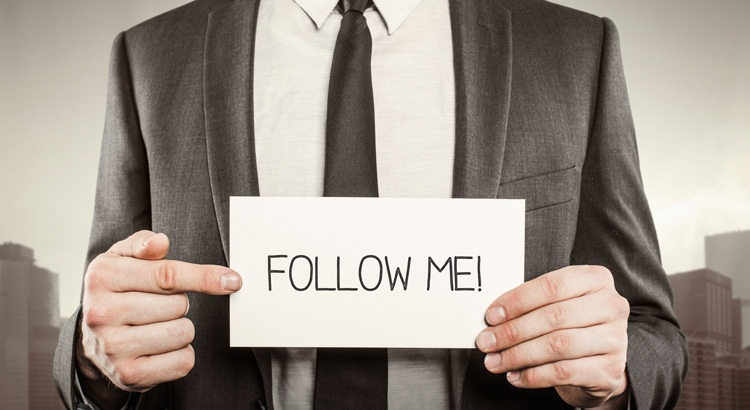 A staff of 1,400 supports more than 170 physicians in delivering care in more than 36 specialties and subspecialties. Martin Memorial Health Systems is the largest healthcare system in Martin County, Fla. The organization includes two acute care hospitals, a freestanding emergency center, specialty treatment centers, and physician offices. 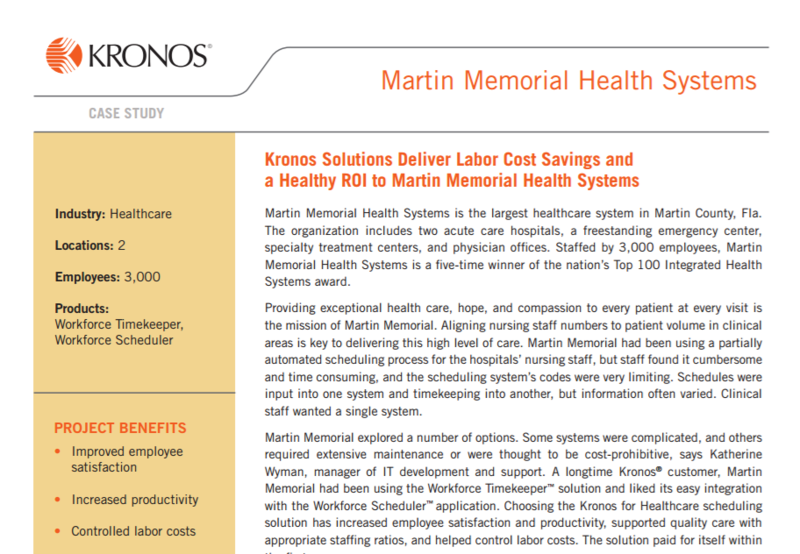 Staffed by 3,000 employees, Martin Memorial Health Systems is a five-time winner of the nation’s Top 100 Integrated Health Systems award. LindenGrove provides a full spectrum of care for senior adults at eight facilities located throughout southeastern Wisconsin. The not-for-profit organization offers supportive senior living programs, rehabilitative services, and long-term nursing care. 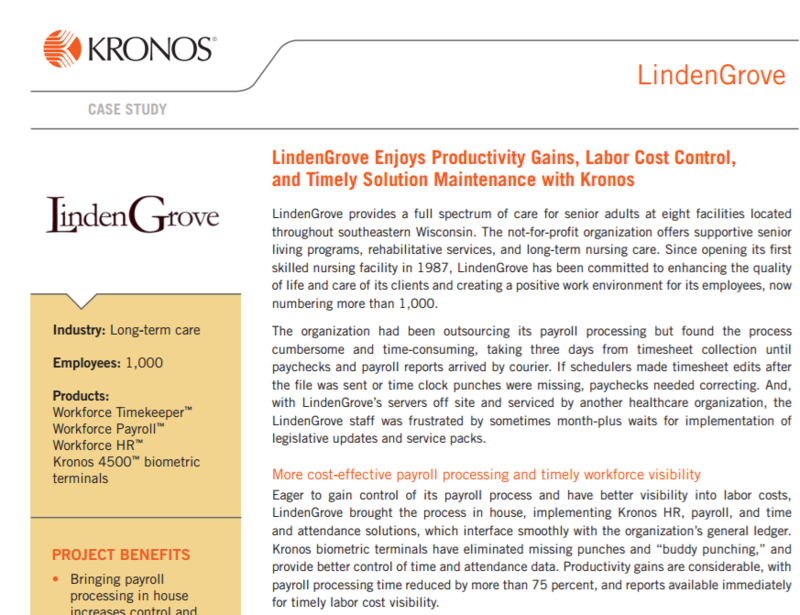 Since opening its first skilled nursing facility in 1987, LindenGrove has been committed to enhancing the quality of life and care of its clients and creating a positive work environment for its employees, now numbering more than 1,000. 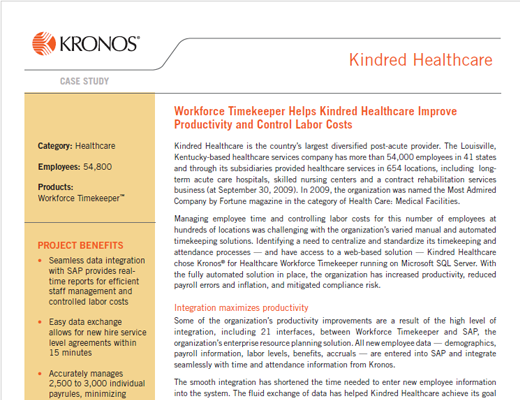 Kindred Healthcare is the country’s largest diversified post-acute provider. 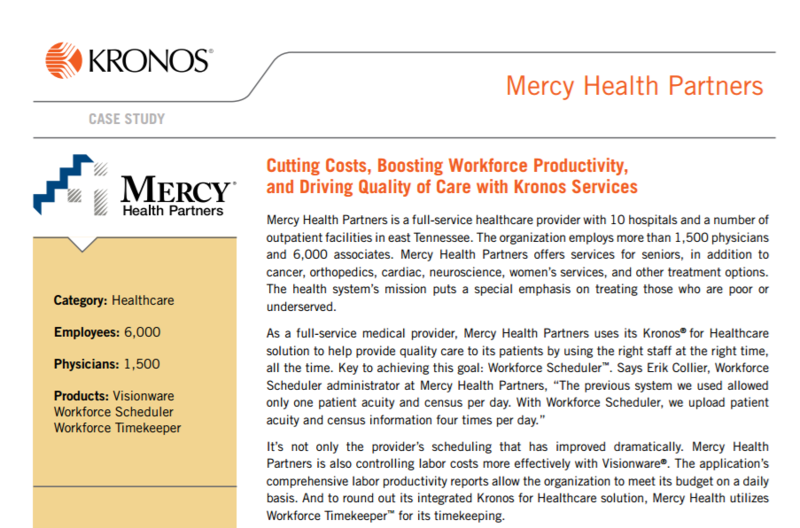 The Louisville, Kentucky-based healthcare services company has more than 54,000 employees in 41 states and through its subsidiaries provided healthcare services in 654 locations, including long-term acute care hospitals, skilled nursing centers and a contract rehabilitation services business (at September 30, 2009). In 2009, the organization was named the Most Admired Company by Fortune magazine. 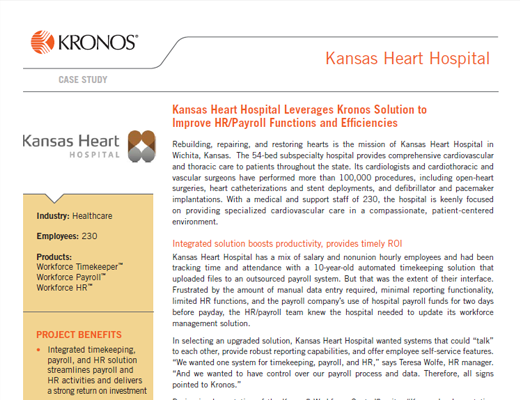 Rebuilding, repairing, and restoring hearts is the mission of Kansas Heart Hospital in Wichita, Kansas. The 54-bed subspecialty hospital provides comprehensive cardiovascular and thoracic care to patients throughout the state. Its cardiologists and cardiothoracic and vascular surgeons have performed more than 100,000 procedures, including open-heart surgeries, heart catheterizations and stent deployments, and defi brillator and pacemaker implantations. 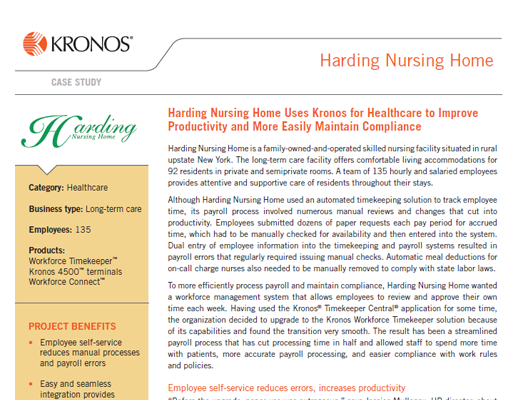 Harding Nursing Home is a family-owned-and-operated skilled nursing facility situated in rural upstate New York. The long-term care facility offers comfortable living accommodations for 92 residents in private and semiprivate rooms. A team of 135 hourly and salaried employees provides attentive and supportive care of residents throughout their stays. 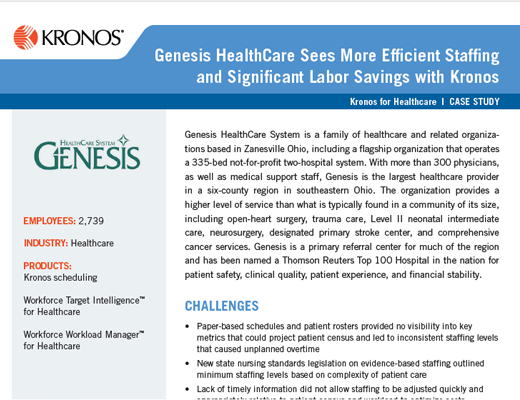 Genesis HealthCare System is a family of healthcare and related organizations based in Zanesville Ohio, including a flagship organization that operates a 335-bed not-for-profit two-hospital system. With more than 300 physicians, as well as medical support staff, Genesis is the largest healthcare provider in a six-county region in southeastern Ohio. 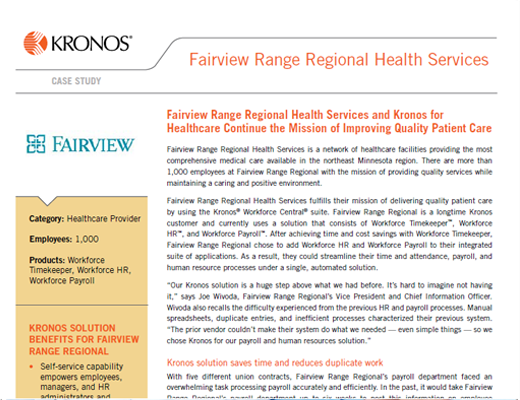 Fairview Range Regional Health Services is a network of healthcare facilities providing the most comprehensive medical care available in the northeast Minnesota region. 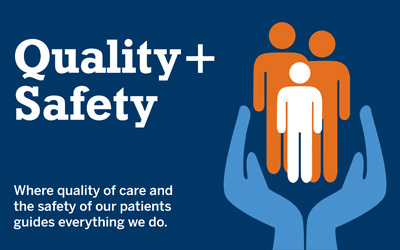 There are more than 1,000 employees at Fairview Range Regional with the mission of providing quality services while maintaining a caring and positive environment. 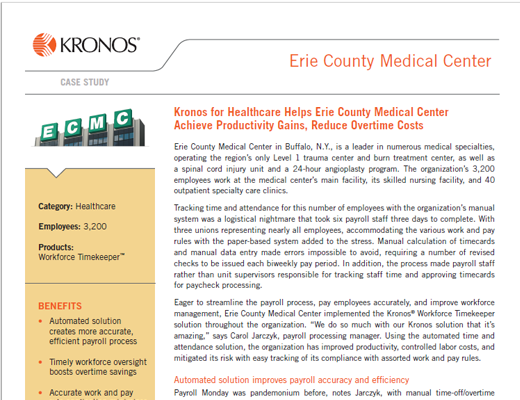 Erie County Medical Center in Buffalo, N.Y., is a leader in numerous medical specialties, operating the region’s only Level 1 trauma center and burn treatment center, as well as a spinal cord injury unit and a 24-hour angioplasty program. 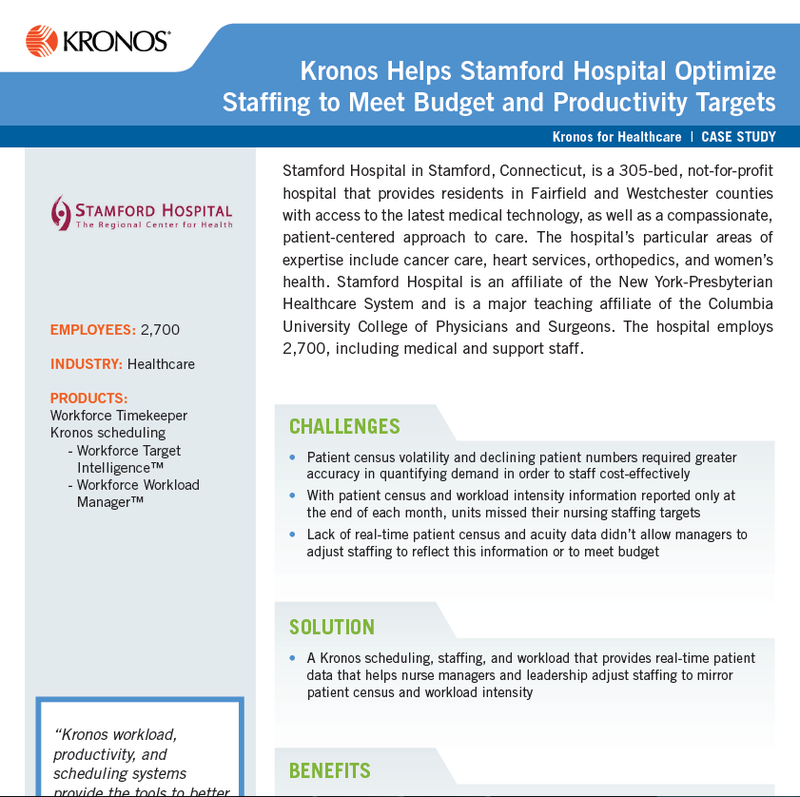 The organization’s 3,200 employees work at the medical center’s main facility, its skilled nursing facility, and 40 outpatient specialty care clinics . 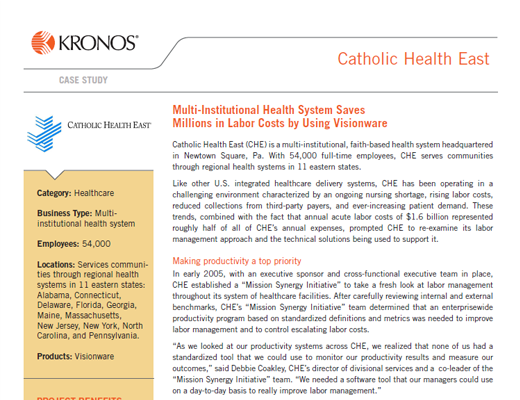 Catholic Health East (CHE) is a multi-institutional, faith-based health system headquartered in Newtown Square, Pa. With 54,000 full-time employees, CHE serves communities through regional health systems in 11 eastern states. 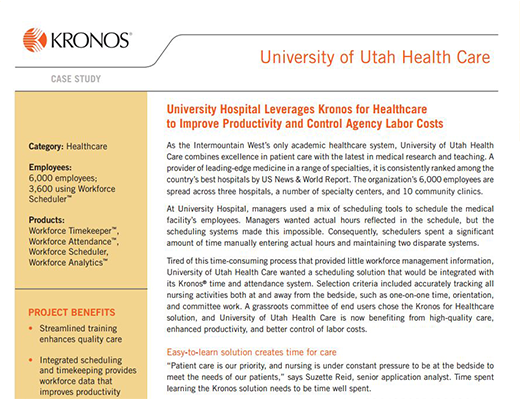 Like other U.S. integrated healthcare delivery systems, CHE has been operating in a challenging environment characterized by an ongoing nursing shortage, rising labor costs, reduced collections from third-party payers. 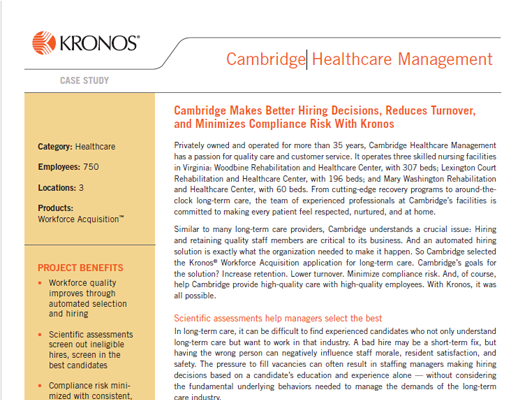 Privately owned and operated for more than 35 years, Cambridge Healthcare Management has a passion for quality care and customer service. It operates three skilled nursing facilities in Virginia: Woodbine Rehabilitation and Healthcare Center, with 307 beds; Lexington Court Rehabilitation and Healthcare Center, with 196 beds; and Mary Washington Rehabilitation and Healthcare Center, with 60 beds. 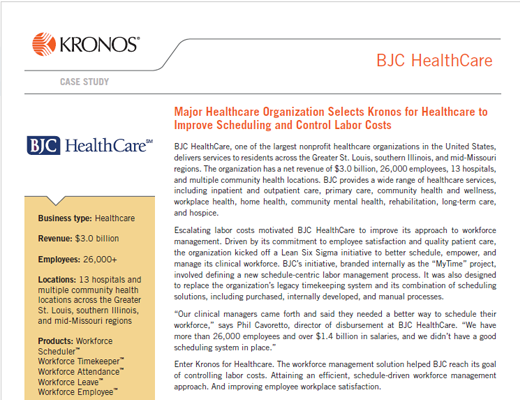 BJC HealthCare, one of the largest nonprofit healthcare organizations in the United States, delivers services to residents across the Greater St. Louis, southern Illinois, and mid-Missouri regions. 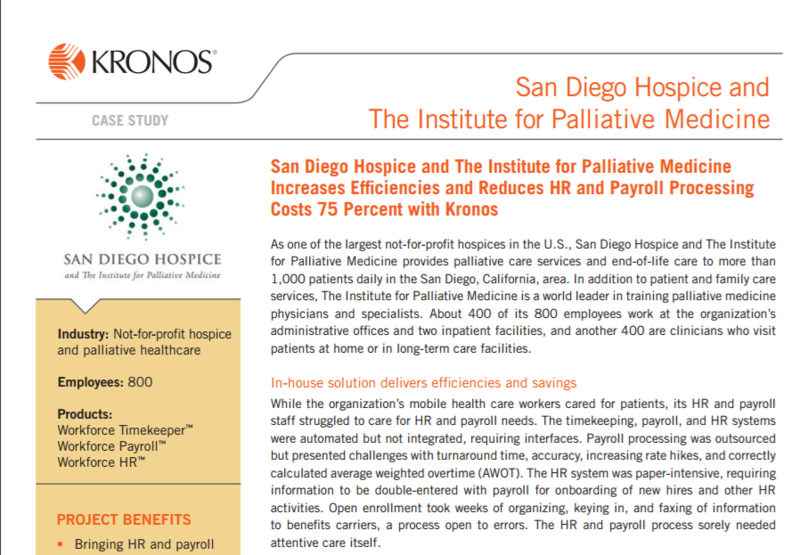 The organization has a net revenue of $3.0 billion, 26,000 employees, 13 hospitals, and multiple community health locations. BJC provides a wide range of healthcare services, including inpatient and outpatient care, primary care, community health and wellness, workplace health, home health. 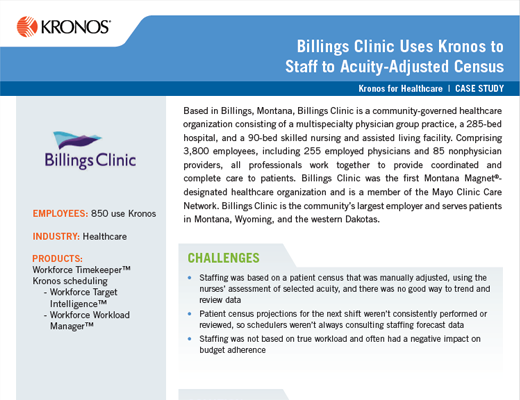 Based in Billings, Montana, Billings Clinic is a community-governed healthcare organization consisting of a multispecialty physician group practice, a 285-bed hospital, and a 90-bed skilled nursing and assisted living facility. 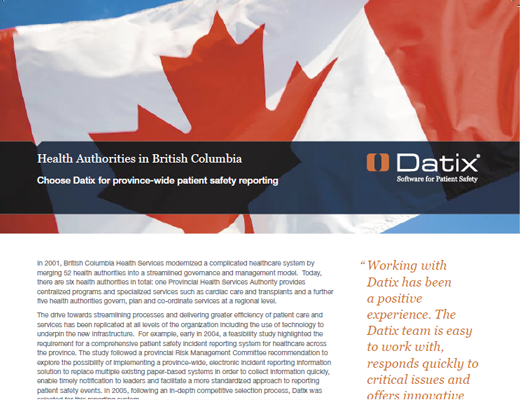 Comprising 3,800 employees, including 255 employed physicians and 85 nonphysician providers, all professionals work together to provide coordinated and complete care to patients. Bay Area Hospital, a licensed 172-bed acute care regional medical facility, is the largest hospital on Oregon’s coast. With a staff of 1,030 clinical and administrative employees, the hospital provides a comprehensive range of diagnostic and therapeutic services designed to provide high-quality care to patients. 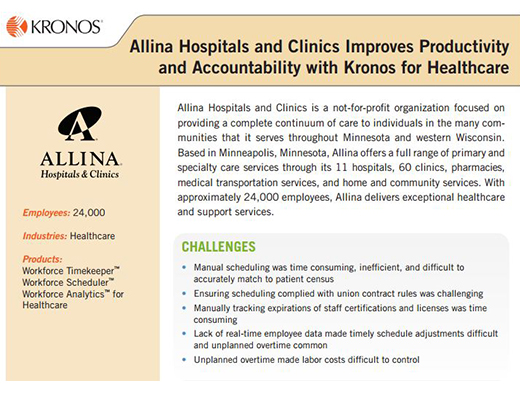 Allina Hospitals and Clinics is a not-for-profit organization focused on providing a complete continuum of care to individuals in the many communities that it serves throughout Minnesota and western Wisconsin. Based in Minneapolis, Minnesota, Allina offers a full range of primary and specialty care services through its 11 hospitals, 60 clinics, pharmacies, medical transportation services, and home and community services. 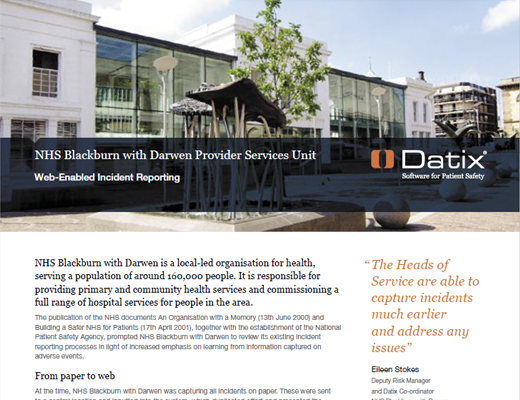 With approximately 24,000 employees. 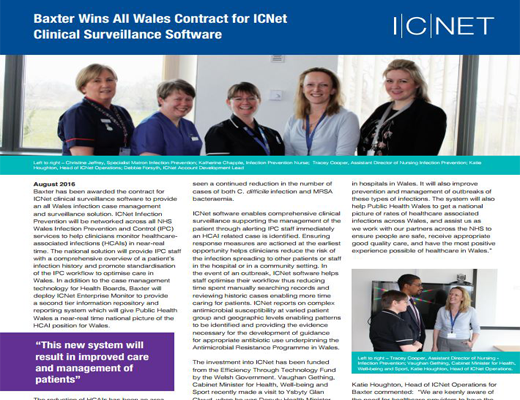 Baxter has been awarded the contract for ICNet clinical surveillance software to provide an all Wales infection case management and surveillance solution. 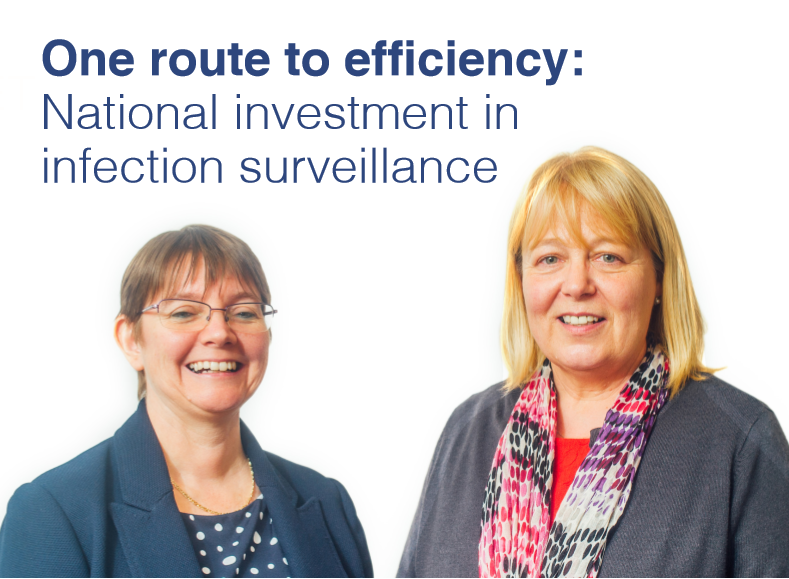 ICNet Infection Prevention will be networked across all NHS Wales Infection Prevention and Control (IPC) services to help clinicians monitor healthcare-associated infections (HCAIs) in near-real time. 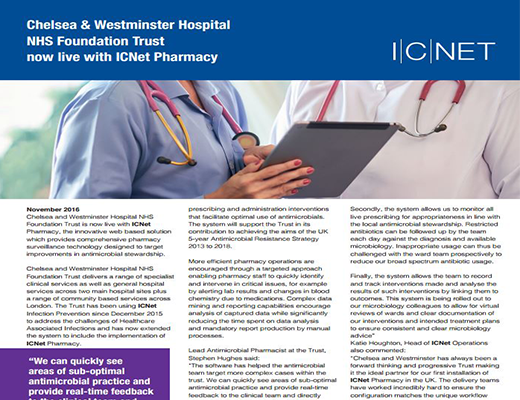 Chelsea and Westminster Hospital NHS Foundation Trust is now live with ICNet Pharmacy, the innovative web based solution which provides comprehensive pharmacy surveillance technology designed to target improvements in antimicrobial stewardship. 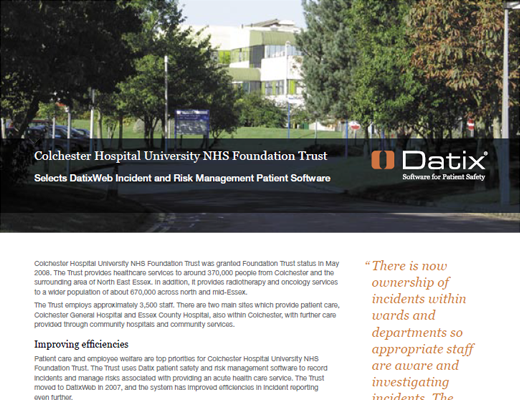 Chelsea and Westminster Hospital NHS Foundation Trust delivers a range of specialist clinical services as well as general hospital services across two main hospital sites plus a range of community based services across London. 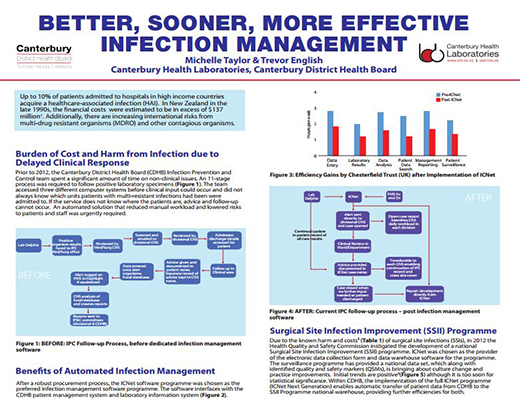 National Institute for Health and Clinical Excellence has estimated that 5% of all surgical procedures are associated with Surgical Site Infection (SSI). 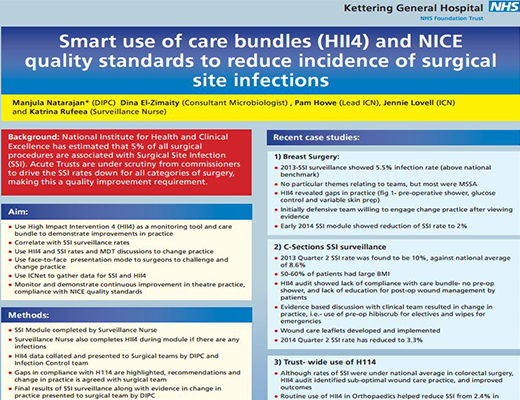 Acute Trusts are under scrutiny from commissioners to drive the SSI rates down for all categories of surgery, making this a quality improvement requirement. 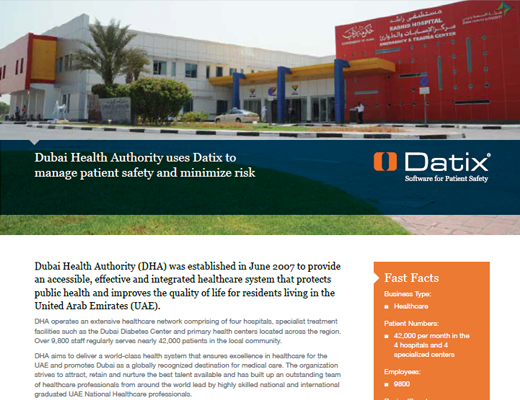 According to studies published each year, hundreds of millions of people around the world will be afflicted by a healthcare-associated infection (HAI) and millions die as a result. 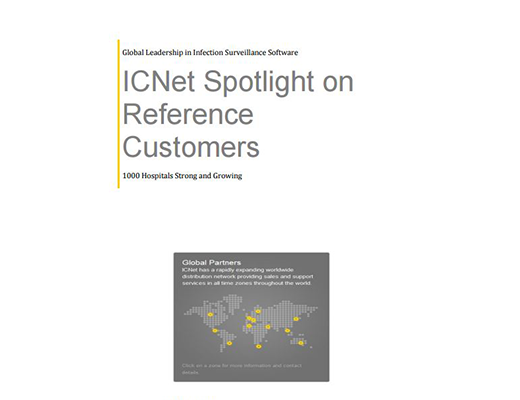 Although surveillance software to detect infection exists in developed countries, the global burden remains unknown due to the difficulty in gathering reliable data in developing countries. From some nations, there are no data at all. 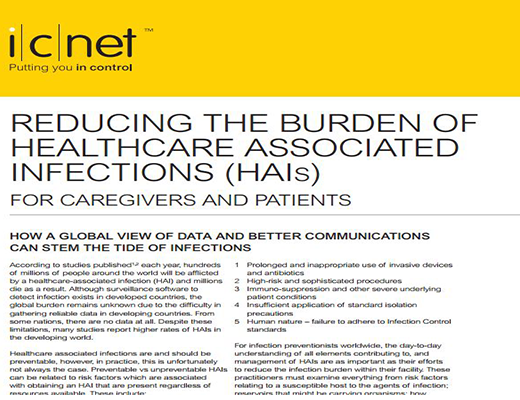 Up to 10% of patients admitted to hospitals in high income countries acquire a healthcare-associated infection (HAI). In New Zealand in the late 1990s, the fnancial costs were estimated to be in excess of $137 million1. Additionally, there are increasing international risks from multi-drug resistant organisms (MDRO) and other contagious organisms. 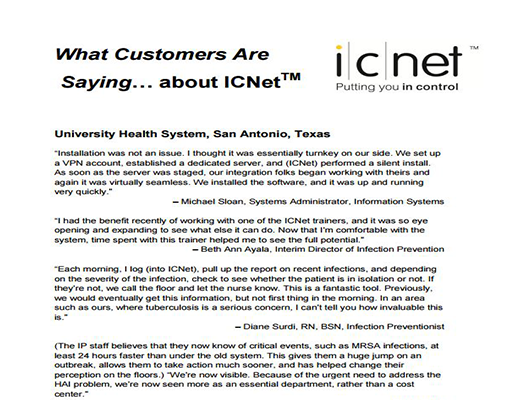 Part of the customer's testimonials that we like to share with you..
Healthcare associated infections (HCAI) increase mortality, healthcare costs, length of stay and threaten patient safety. 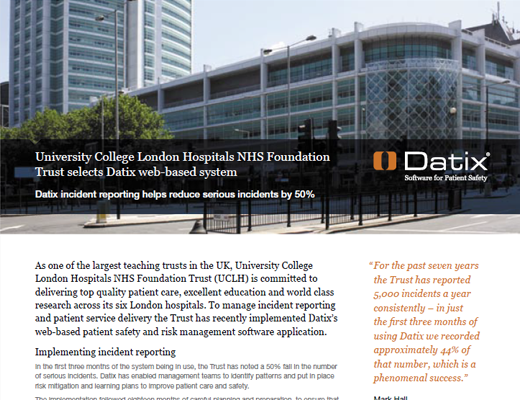 Surveillance has long been considered vital to the prevention of infection (Haley et al, 1985). 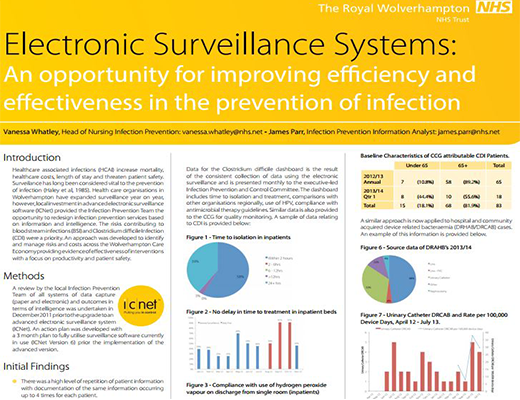 Health care organisations in Wolverhampton have expanded surveillance year on year, however, local investment in advanced electronic surveillance software (ICNet) provided the Infection Prevention Team the opportunity to redesign infection prevention services. 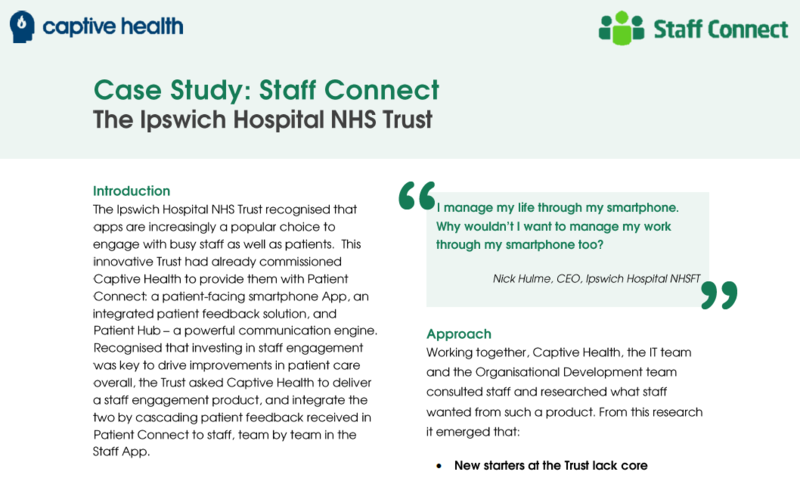 The Ipswich Hospital NHS Trust recognised that apps are increasingly a popular choice to engage with busy staff as well as patients. 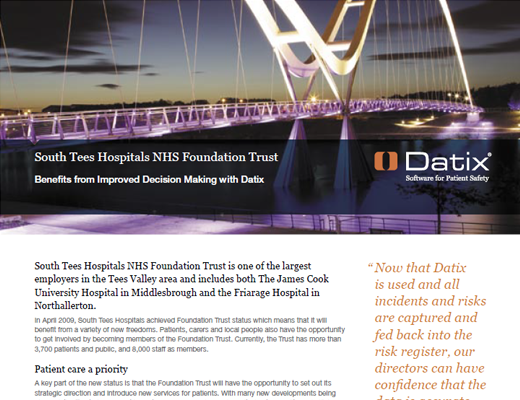 This innovative Trust had already commissioned Captive Health to provide them with Patient Connect: a patient-facing smartphone App, an integrated patient feedback solution, and Patient Hub - a powerful communication engine. 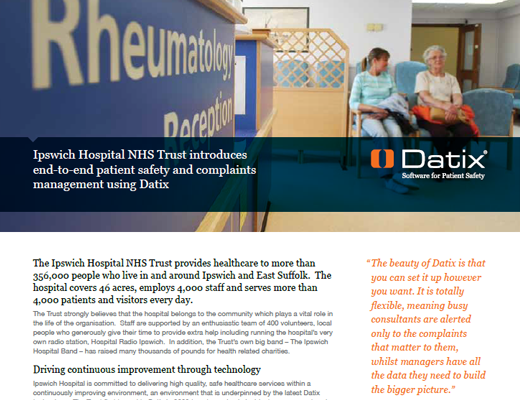 Recognised that investing in staff engagement was key to drive improvements in patient care overall. 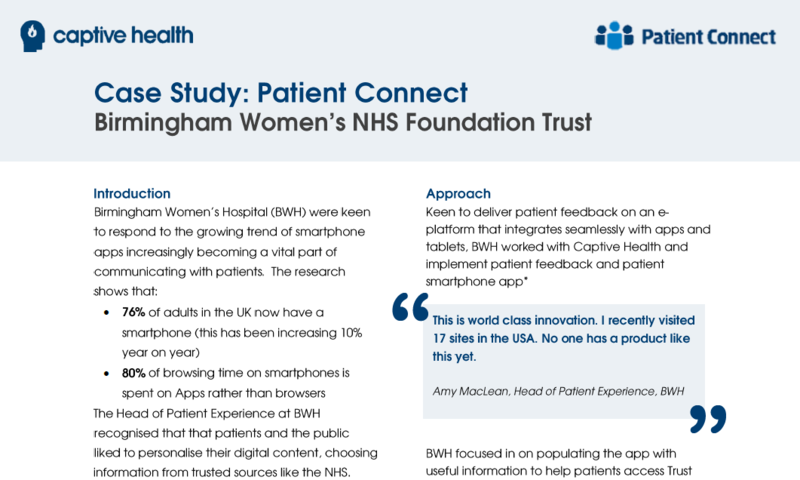 Birmingham Women's Hospital (BWH) were keen to respond to the growing trend of smartphone apps increasingly becoming a vital part of communicating with patients. 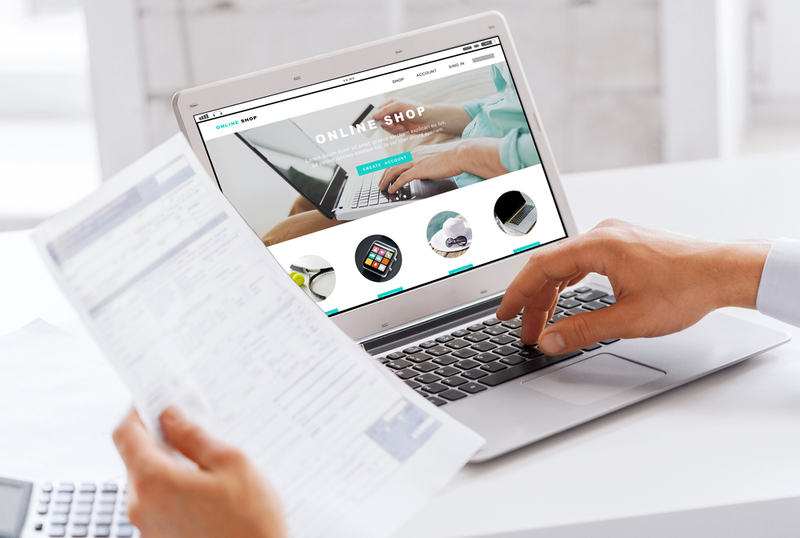 The research shows that: 76% of adults in the UK now have a smartphone (this has been increasingly 10% year on year), 80% of browsing time on smartpnones is spent on Apps rather than browsers.